There isn’t anything so awesome about drip coffees. Yet, it’s a great place to start all your coffee adventures. I, for one, bought a coffee dripper when I started my love for coffee and then upgraded. If you’re a college student or a busy professional who just developed the taste for coffee, drip coffee makers are the best start. Unlike the old days, when I rushed to Walmart and picked a random coffee dripper, you have so much choice nowadays. Drip coffee makers come in all forms and sizes — and, of course, budgets. For instance, if you’ve just started, I’d never recommended a coffee dripper with a built-in coffee grinder. Don’t worry, though: we’ve solved your problem once and for all. In this article, you will find some of the best drip coffee makers out there. And, you guessed that right: we’ve includes products that match all your needs. We’ve drip coffee makers for ultimate beginners as well as the drip coffee connoisseurs. If you are ready for a bit of investment, Cuisinart DCC-1100BK 12-Cup Programmable Coffeemaker is one of the best options out there. It comes with an effective brewing process and so many smart features. On top of everything, this drip coffee maker lets you program brewing 24×7. The 12-cup Carafe is satisfactory for home and small offices. Nevertheless, you are not getting a thermal carafe with the package. You will, however, love some additional features like Brew Pause. This one lets you taste coffee before the brewing is done. It comes with one of the best permanent filters for a drip coffee maker. 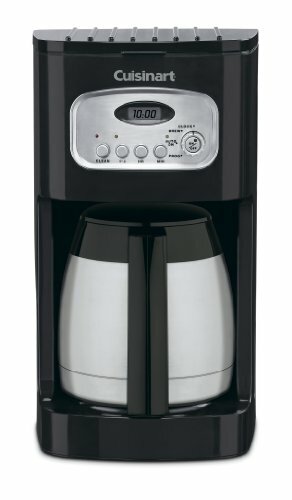 If you are like me and bought a random coffee maker all the way back, Cuisinart DCC-1100BK 12-Cup Programmable Coffeemaker is a great way to upgrade. 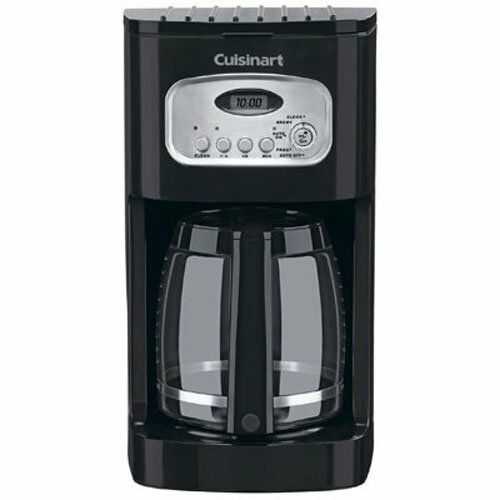 Cuisinart DCC-1100BK 12-Cup Programmable Coffeemaker is a worthwhile upgrade from one typical drip coffee maker. It brings some amazing smart features too. There are times when you need a simple drip coffee maker with no additional feature at all. 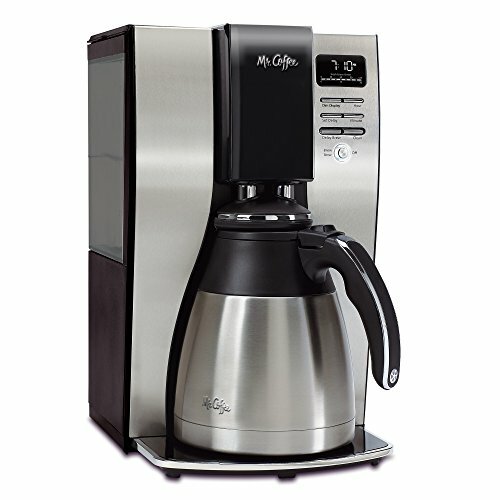 Mr. Coffee 12-Cup Coffee Maker is one of the cheapest drip coffee makers you can find in the market. One thing we loved is that it offers Pause Brew function, which is a feature that I personally love. Moving further, actual brewing process in the system is equally simple. It lacks programming features and the performance is rather just okay. For instance, we would not suggest using premium coffee grounds on this machine. Because of the low heat, you may end up having a mediocre cup of coffee. For the basic coffee-making needs, however, you can count on this simple machine. Last but not least, you don’t have to spend dollars buying paper filters. 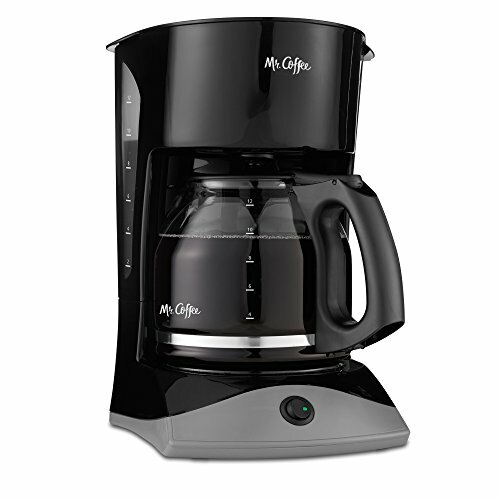 Mr. Coffee 12-Cup Coffee Maker is the perfect choice when you need a basic drip coffee maker. You can spend the same amount you spend at Starbucks and get coffee for a few months at least. #3 Zojirushi EC-YSC100 Drip Coffee Maker Budget Pick! Are you looking for a fully-fledged drip coffee maker? Do you want all the features including the smart ones? Are you ready to pay something extra for all these? Then, Zojirushi EC-YSC100 Drip Coffee Maker is the best choice in town. It also comes with a thermal carafe that can keep your coffee warm for a very long period of time. This dripper comes with a capacity of 10 cups, which is enough for most people out there. From filling that big reservoir to finally getting the cup of copy, the whole process is buttery-smooth. We also loved that the water reservoir is removable. Altogether, it feels really great to brew a cup of coffee using the Zojirushi EC-YSC100 Drip Coffee Maker. Zojirushi EC-YSC100 Drip Coffee Maker is the complete drip coffee maker for all your needs. It does not compromise any section, but you need a lot of countertop space. Brew 12 Cup Coffeemaker is a drip coffee maker with a built-in coffee grinder. It means you can pour the coffee beans on top and it will do the rest of the job. We must say, this coffee maker looks just dope. However, we would not recommend this product if you’re not a pro coffee maker. As we said, you will have to choose the right coffee beans to start with. As an experienced coffee maker, you have more control over the process. You can change the brewing capacity, strength and temperature of the process to get the best coffee. 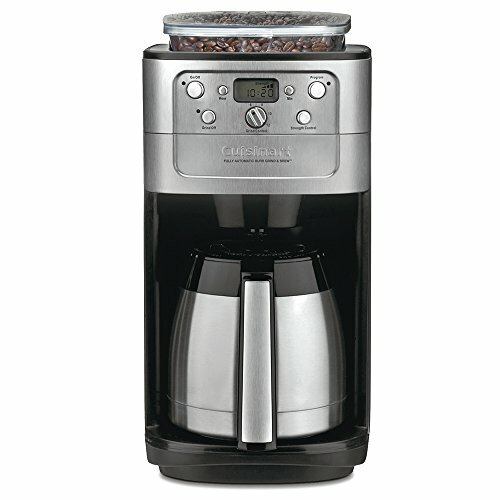 The included coffee grinder is one of the best in the market, also coming from a brand like Cuisinart. Cuisinart DGB-700BC Grind & Brew 12 Cup Coffeemaker is an option for those who can shell out a few more dollars for extra features. If you need an affordable drip coffee maker with programmable features, you should consider getting a unit of Hamilton Beach 46310 Programmable Coffee Maker. One of the bright sides, you have a clean brew to do. We really loved how easy it is to use this machine. You can pour water into the reservoir from the top and just press a few buttons and wait. It also comes with a programmable clock. Upon two hours of inactivity, this coffee maker would shut down automatically. If you are someone with varying tastes, Hamilton Beach 46310 Programmable Coffee Maker lets you choose between Normal and Bold brews as well. Last but not least, you can choose between 1 to 4 cup sizes. 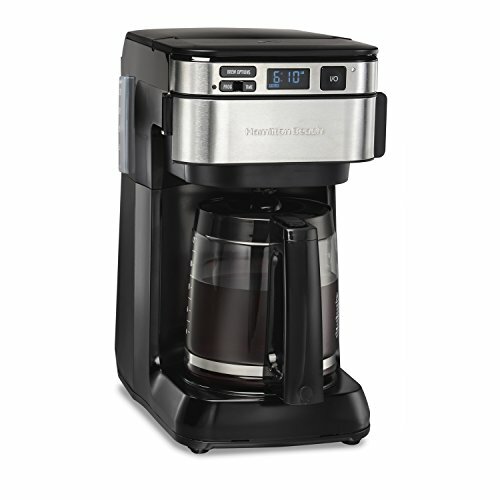 Hamilton Beach 46310 Programmable Coffee Maker is another affordable option for most people. It doesn’t compromise standard smart features though. It’s likely that you are looking for the ultimate coffee-making experience in the world. 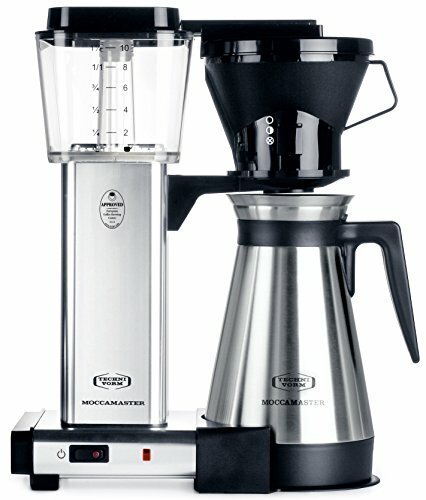 In that case, you must consider getting Technivorm Moccamaster 79112 KBT Coffee Brewer. It’s one of the most expensive coffee makers on Amazon — for all the right reasons. Just so you know, you cannot automate anything on this drip coffee maker. Technivorm Moccamaster 79112 KBT Coffee Brewer has been designed for people who are experienced to control the brewing process. If you do it right, this coffee maker can offer the best taste and aroma. If you ask me, I wouldn’t mind spending a huge amount for both of these things. However, the mere lack of some automation features can be a deal-breaker for some. Technivorm Moccamaster 79112 KBT Coffee Brewer is an option only if you can spend a lot of cash on a high-end coffee maker for extensive use. We’d recommend the OXO On Barista Brain 9 Cup Coffee Maker if you want the best coffee without spending a lot. This is the biggest deal: the coffee maker can stimulate pour-over coffee making process so that you’d be getting the perfect cup, every single time. As per your needs, this machine can create up to nine cups of coffee at one go. OXO On Barista Brain 9 Cup Coffee Maker is quite different from the typical drip coffee maker you have seen. For starters, you don’t have customizable control. Everything happens in a few clicks. On the bright side, it provides you with constant-tasting coffee. It also has a smart display system, where you can see brewing details so much. 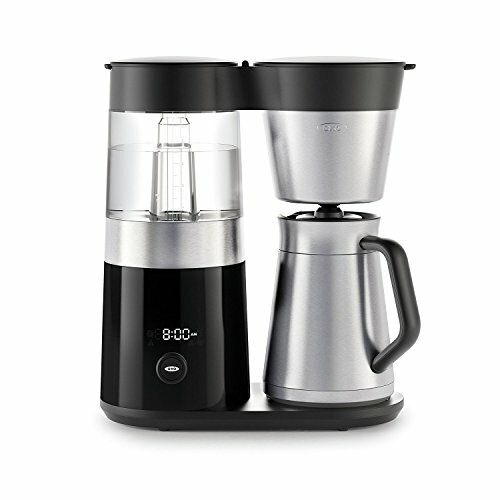 If you need a drip coffee maker with a change, we’d recommend OXO On Barista Brain 9 Cup Coffee Maker. It delivers the best coffee, every single time. Last, in the list, Mr. Coffee 10-Cup Thermal Coffeemaker System is an upgrade from the basic Mr. Coffee one that we’d listed above. This machine comes with additional features like a thermal carafe, which would keep the coffee hot. That having said, we don’t think this is the most perfect coffee-maker out there. There are a bunch of competitors who make tastier cups of coffee. Even then, from the usability point of view, Mr. Coffee 10-Cup Thermal Coffeemaker System makes enough sense. For starters, it’s an easy machine to use. The removable water reservoir makes everything easier for almost all people. Thanks to the Delay Brew feature, there’s a possibility of scheduling as well. In fact, all these additional features add value to the experience. When you want an affordable drip coffee machine with thermal carafe features, Mr. Coffee 10-Cup Thermal Coffeemaker System is the best place to go. So, these are the best drip coffee makers out there. As you may have noticed, we’ve included picks from various categories. Some of these coffee makers require proper precision and care while some offer a quick cup of coffee, with consistency. Now that you have an idea about the best coffee makers out there, let’s talk about choosing the right one for you. Make sure you listen to these aspects before sticking onto a single product. In the grand scheme of things, drip coffee makers have the lowest spot when it comes to coffee taste. There are always better ways to brew coffee, such as the French press. That having said, I’d recommend drip coffee to every beginner out there. Therefore, you should understand your own requirement and knowledge of the brewing process before you finalize a particular product. Drip coffee machines come with fixed capacities. You have to consider two levels of capacity: the amount of water that can be stored in the reservoir and the reasonable amount of coffee that the carafe can contain at a time. You would not want to brew multiple times when there are people around, right? In that case, it’s better to choose a product that has better capacity. The built-in carafe of the drip coffee machine matters more than you think it does. First of all, it can control how quickly you should consume the coffee. If you have a thermal carafe, it’s okay to keep the coffee sit for a while, since the temperature would be kept intact. On the other hand, you cannot do this with a normal type of carafes that you find. Programmability refers to a bunch of options for controlling the brewing schedule. For instance, it would be possible to schedule the machine to brew the coffee at a particular time, every single day. For someone who has a tough schedule to keep, these features can come in handy. Also, we highly recommend choosing one product with an automatic turn-off feature — which saves a lot of energy, for one. You have to make sure that the product has one of the best filters in town. In the case of paper filters, however, you will have to keep changing the same. So, the practicality of the task must be concerned. Last but not least, the machine must have an easy cleaning functionality as well. Some devices will have a simple button for descaling too. These are some things you should know about drip coffee makers and choosing the right drip coffee maker for your needs. Once again, we would not say drip coffee is the best. That having said, when it’s time to start, you can never go wrong with this type of brewing. If you’re looking for a perfect Drip Coffee Makers, We’ve reviewed 8 drip coffee machines for ultimate beginners as well as the drip coffee connoisseurs.